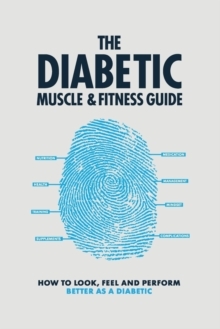 Written by renowned competitive body builder and Sports Nutritionist Phil Graham The Diabetic Muscle and Fitness Guide is the first ever evidence-based muscle building and fat loss resource written for people living with diabetes. Whether you want to shred fat, build a set of chiseled abs, pack on quality muscle mass or smash personal bests in the gym - this resource is your definite go to for rapid body redesign and strength development when living with diabetes. The book provides a deep insight into the underlying physiology of diabetes and how it influences human metabolism, nutrition requirements and examines the body's response to different types of exercise especially weights resistance exercise. Various other elements including; mindset, diabetes medication, diabetes management, sports supplementation and much more are discussed in great detail. Every strategy is grounded on real life experience, countless hours of trial and error and evidence-based study. The book is written in an easy to digest format, occasionally delving into deeper scientific language to empower you with the exact knowledge, structure, and methods of assessment needed to ensure your body is always moving in the right direction. The modern day personal trainer will find this resource incredibly valuable, as nowadays they face more clients living with diabetes (especially Type 2) than ever before. This resource will teach the fit pro everything they need to know about coaching the client living with diabetes.